Chilli Con Carne is a classic dish that everyone loves – make it a couple of days in advance for a hassle free midweek meal. Chilli is something that leaves my house divided. Me and eldest boy love it but Mr T and youngest boy aren’t fans. 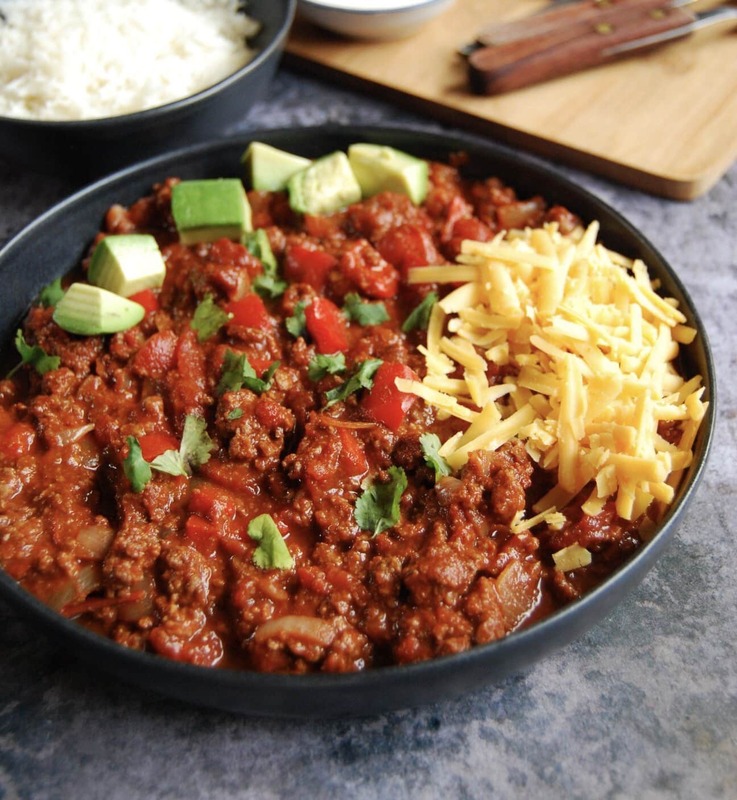 I always end up craving chilli in the colder weather so when the craving strikes, I usually order two packs of minced beef in my food shop – one for chilli and the other is reserved for a favourite with everyone in my house – mince and tatties. 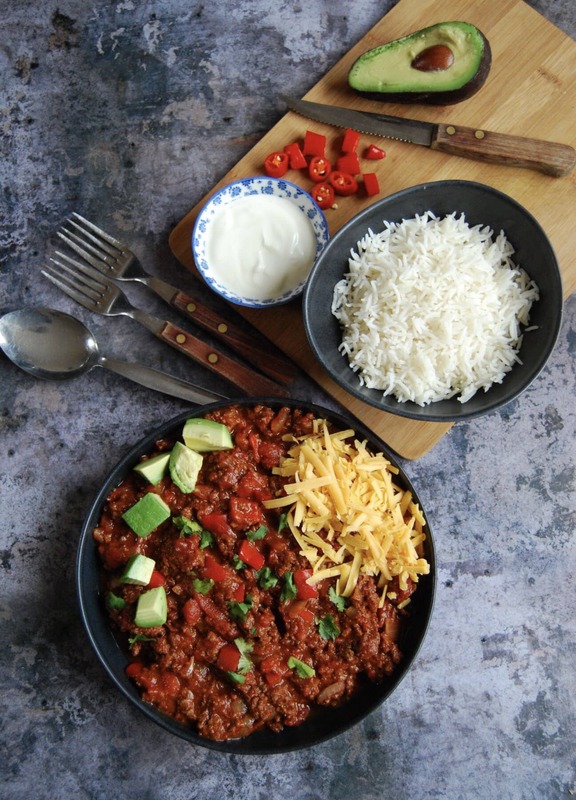 The recipe I’m sharing with you today is my favourite chilli con carne recipe. Now I’m not claiming it’s an authentic Chilli Con Carne recipe, but I’ve been playing about with this recipe over the past few years and I think I’m finally happy with it. It’s spicy but not kill your tastebuds hot with a smoky background from the smoked paprika and chipotles. I like to add two dried chipotle chillies but everyone’s chilli tolerance is different so you might want to use just one. If you can’t get or don’t want to use chipotle chillies, you don’t have to – the recipe still works very well without them. The cocoa powder adds a real depth of flavour to the chilli – don’t worry, you won’t taste it at all! It does make sense when you think about it though – dark chocolate and chilli really compliment each other. 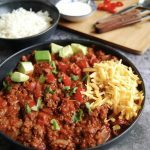 Need a vegan friendly chilli recipe? My aubergine, mushroom and lentil chilli is perfect for feeding a crowd. 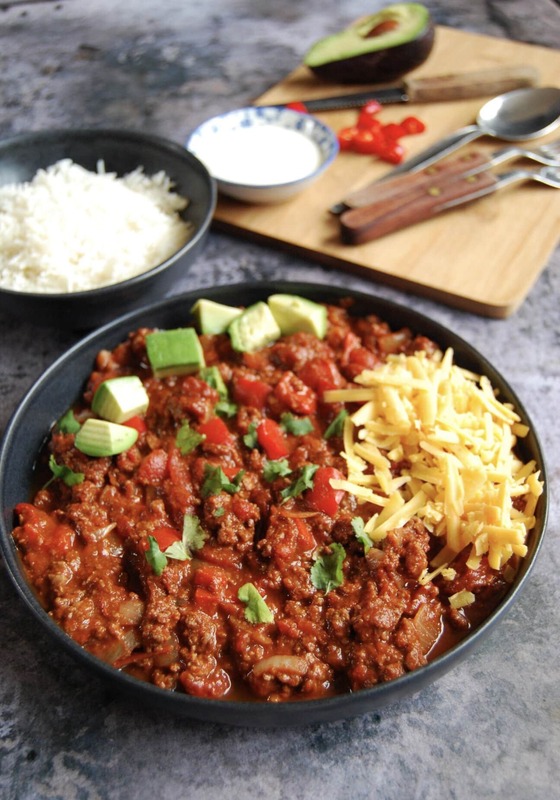 I like to serve this chilli with grated cheese, sour cream and avocado or crunchy tortilla chips. I’m having a few friends over – can I double the recipe? Can I make this chilli ahead? Absolutely! I do it all the time. It’s actually better if you do – making the chilli a day or two before you need it will allow all the flavours to develop. Just make sure to keep the chilli in the fridge in an airtight container and re-heat until piping hot. Can I freeze this chilli? Yes – once the chill has been cooked, allow to cool completely, then divide into portions and freeze. Defrost in the fridge overnight then reheat until piping hot. I often make a big batch of this chilli to freeze for future meals. This recipe was originally published November 2013. Republished 15th January 2019 with new photographs and updated recipe. 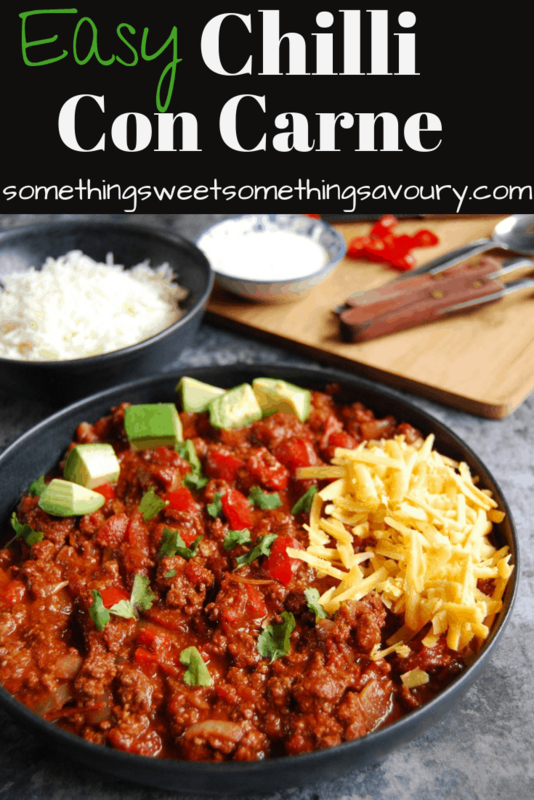 My take on the classic Chilli Con Carne is best made in advance to allow the flavours to develop. Heat the oil in a large pan and add the chopped onion. Cook for five minutes then add the garlic, diced red pepper and spices. Cook for another five minutes, then turn up the heat and add the minced beef. This chilli improves over a couple of days so is definitely worth making ahead. When the mince has turned brown add the chopped tomatoes, tomato puree, ketchup, cocoa powder, Worcestershire sauce, the chipotle chillies and the kidney beans. Half fill the empty can of chopped tomatoes with water and pour it into the pan. Turn the heat right down, cover and simmer for 1 1/2 - 2 hours, stirring occasionally. This chilli is definitely worth making in advance - it tastes even better after a day's resting in the fridge. Not a fan of minced beef? Use stewing steak instead! You’re very welcome Midge, thank you! ? I love chilli – a good kick with a smoky flavour, combined with fluffy rice and a spoonful of soured cream. This recipe sounds great, especially the slow cooking bringing out the flavours.